James comes from a family of four brothers; he is the second born. In 2005 his father died in an accident and from that day on there were many challenges. His mother had never had a job; she felt stuck and didn’t know what to do. His mother and brothers depended on others to give them food. His mother started working as a farmer and also on the small farms of others to provide for her family. Their family was against them. James’ father had land and his family told them to go away after his father died and leave the farm to his uncles. His uncle said he would educate the oldest brother but eventually decided to stop supporting him, sending him back to his mother. She took a loan so his oldest brother could finish secondary school. He was unable to go to university because he did not score high enough on his exams to earn government assistance. His younger brother became very ill with a skin disease and then developed malaria and typhoid and his mother had to work very hard, even at night, to support the family: provide basic necessities, pay back the loan, and obtain medical care for a sick child. Unfortunately, his brother passed away. James felt that there was no hope for life because two of his family members had passed away. The family knew that they could not stop serving God, knowing there is life after death. His mother saw that James could someday support the family if he was educated but was crying day and night, unable to see a way to take care of the family, pay the debt, and send James to school. She was very desperate and prayed to God for help, working harder than ever. When they heard of New Dawn Secondary School, his mother was afraid to risk the 3000 shillings it would cost to send him for the interview because he might not get into the school. James asked his mother not to give up hope as he had a vision of going to New Dawn. He and his mother walked almost 25 kilometers to save the fare. His mother urged James to do his best to pass the interview but he was not accepted. James spoke to the director and his mother spoke to the principal and James was put on the waiting list for New Dawn. Fortunately, they were subsequently contacted with news of his acceptance and gave thanks to God. After this, his mother started to have hope as well, recognizing the blessings that God had provided. His older brother was able to find a job and the family hopes that he will be able to provide support for the younger brother to go to secondary school. 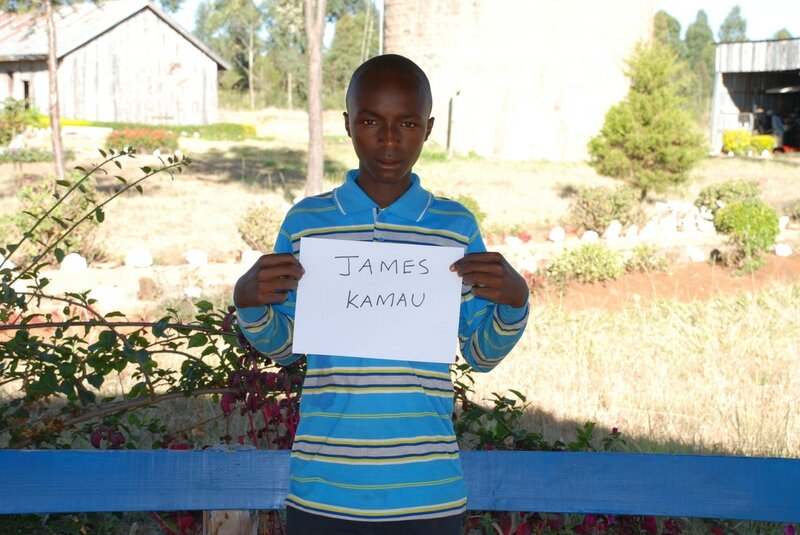 James was taught by his mother about Jesus from a young age and went to church every Sunday. Even when he was in primary school he was able to lead others in prayer and praise in song with boldness. He was chosen as chairman of his class in his second year of secondary school. James likes the way studies are continued at New Dawn with the form 3 and form 4 students staying at school during the final break to study longer for the final exam because when he goes home, there are many distractions, such as news of death or illness, that make it more difficult to study. James has continued to grow in his faith at New Dawn. The school principal is like a caretaker to James, there to guide him and to help him. Now he feels that God is blessing his family. James is in his third year at New Dawn. He would like to attend university to study accounting and finance and eventually start a bank. He would also like to start an institution like New Dawn to be able to help the needy. If you would like to help James, please provide us with your name and email and hit "SUBMIT" before clicking the "Continue" button below. You will then be asked for your payment information. On behalf of James Kamau Mwangi, THANK YOU!